There are two main types of corrugated plants. Integrated companies produce both the raw materials and the finished products. They harvest tress, produce paper at their own mills, and use most of their own paperboard to manufacture corrugated products. Independent companies buy their raw materials from paperboard mills and convert into finished products. 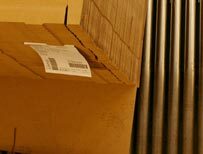 Among the integrated and independent companies there are three types of operations that represent corrugated manufacturing. A sheet feeder is a plant that operates a corrugator to run sheets exclusively for box plants to convert into boxes. A corrugator plant has a corrugator and converting equipment and runs both sheets and boxes. A sheet plant does not have a corrugator but does have converting equipment. Sheet plants purchase sheets from a corrugator or sheet feeder.